​There are some cases where either through personal preference, or the special needs of the dog in question, that a more personalized one-on-one means of training is preferred, and SLO County Dog Training is here to provide you with that option. It’s our goal to bring reliable dog training to every owner in need, and to do so in a fashion that focuses on your dog’s when quality, individual training is your requirement, you can count on the experts at SLO County Dog Training to provide you with results you can see. Dogs that come from abusive homes, shelters, or have behavioral issues with other dogs can require special care in the dog training methods utilized, and the first of which is establishing proper behavior on their own, before reintroducing them to the dog population at large. 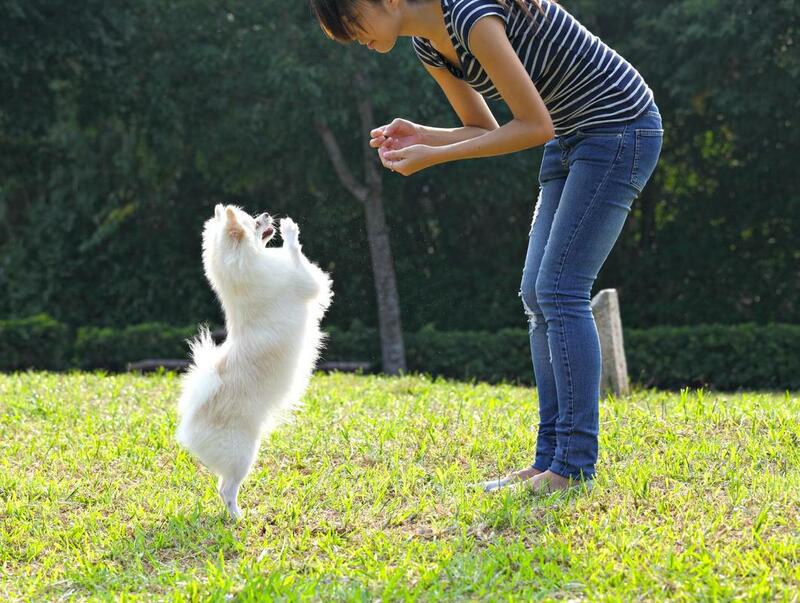 We provide you with the caring, one-on-one training consultations that will lead to a better behaved, and more balanced dog. We get to the root of your pups issues, and formulate a training plan that will provide effective results, and have your dog enjoying their newfound confidence in proper training. Proper off-leash training should always start in a on-on-one setting. Much like trying to learn to walk, you must first learn to crawl. When trying to get your dog to pay attention in an off-leas setting, starting without outside distraction, free of complication can be the best setting. Through our various dog training tools, we have established a curriculum that can be depended upon for results, as we lay the foundation of your dog training first, and then work on adding more complication, thereby ensuring that your dog can handle the most sensory situations with calm and obedience to their owner. Training puppies can be challenging at first, their natural curiosity and wandering attention span can make it tough on even the most experienced trainers. This is why by starting them off in a one-on-one setting, you have the means to focus their attention to the task at hand, and to lay the foundation for proper behavior across their lives. Eventually moving into more communal settings, this personalized approach is effective in keeping them on track, and getting the basic obedience commands down pat. We provide a full step-by-step program that will give your puppy the best possible start in their training. Troubled dogs can be difficult to find proper training for. Whether your dog had an episode with another dog or person, or has always had difficulty fitting into situations, you can count on our experts to bring you the assistance you need in bringing them to a more well-balanced place and providing dog rehabilitation you can count on. This dog behavior modification not only gives you peace of mind in knowing that you can trust your dog to react responsibly, but allows for your pet to experience a much more stress-free time of things no matter where they happen to be, and who happens to be around.